Get an instant cash loan offer without any credit checks by using the services of expert Pawnbrokers in Gloucestershire. Get an instant cash loan offer without any credit checks by using the services of our online expert Pawnbrokers in Gloucestershire. As one of the trusted names in the pawnbroking industry, we aim to offer the maximum credit loan against any luxury items. Whether you want a loan to manage your short-term financial needs or make a new investment, The Luxury Hut online pawnbrokers Gloucestershire will always be the right choice. As long-established, trustworthy online pawnbrokers in Gloucestershire, we always provide a transparent and honest service. We don’t have any hidden charges or contract fee. We only ask for a proof of ID before issuing a loan. The Luxury Hut guarantees to keep your pawned item safe and secure within the contractual period. At The Luxury Hut, we work with utmost dedication when dealing with every loan against gold items. As experienced online pawnbrokers in Gloucestershire, we believe in providing you with a reliable service and aim to pay the best prices for your gold pieces. 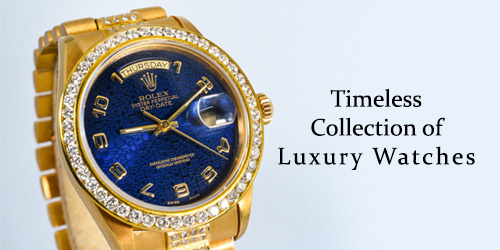 If you want to pawn your luxury watch and get an instant loan, turn to The Luxury Hut pawnbrokers online Gloucestershire. We have specialists of fine watches who have extensive experience to appraise a luxury watch and determine its real value. 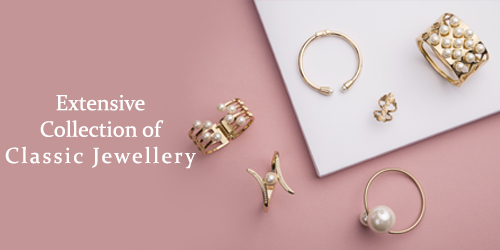 You can pawn your jewellery and get an instant cash loan by getting in touch with one of the most trustworthy pawnbrokers in Gloucestershire. With a longstanding presence in this industry, The Luxury Hut ensures to pay the highest possible value for any exquisite jewellery pieces.